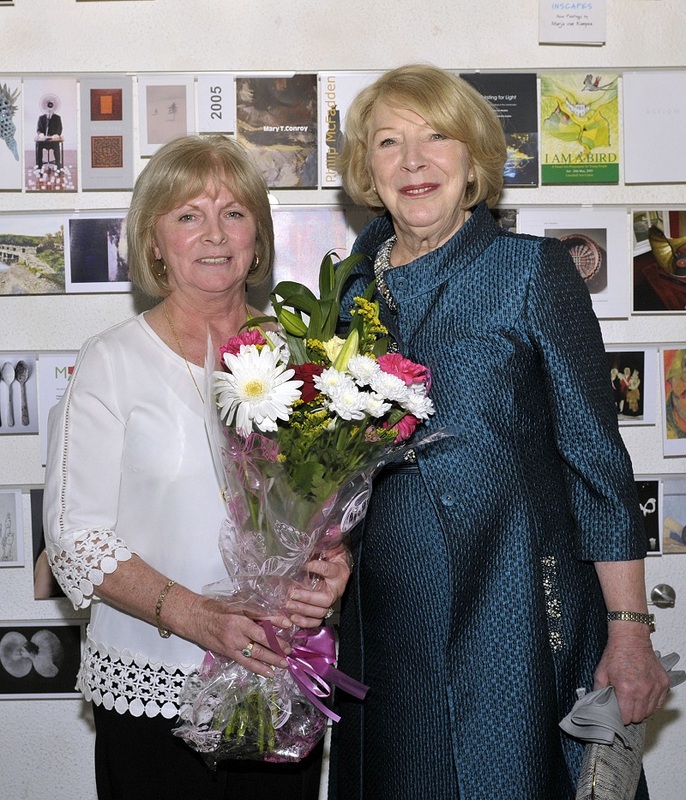 Pictured at the Irish Diaspora Week in the Linenhall Theatre where the Remembering Christina concert was held, with the guest of honour Sabina Higgins, wife of Michael D. Higgins President of Ireland, Marie Kearns committee, making a presentation of flowers to Sabina Higgins,. Photo © Ken Wright Photography 2015. 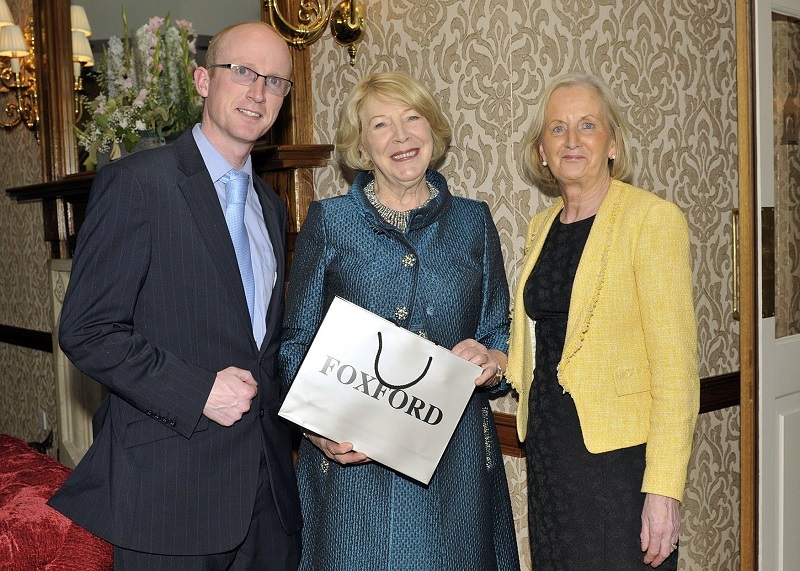 Pictured at the Irish Diaspora Week pre-concert dinner, Remembering Christina, held in Breaffy House with the guest of honour Sabina Higgins, wife of Michael D. Higgins President of Ireland, Wilson Bird, General Manager Breaffy House Hotel and Brenda Clarke, Business Development Manager Breaffy House Hotel made a presentation to Sabina Higgins,. Photo © Ken Wright Photography 2015. 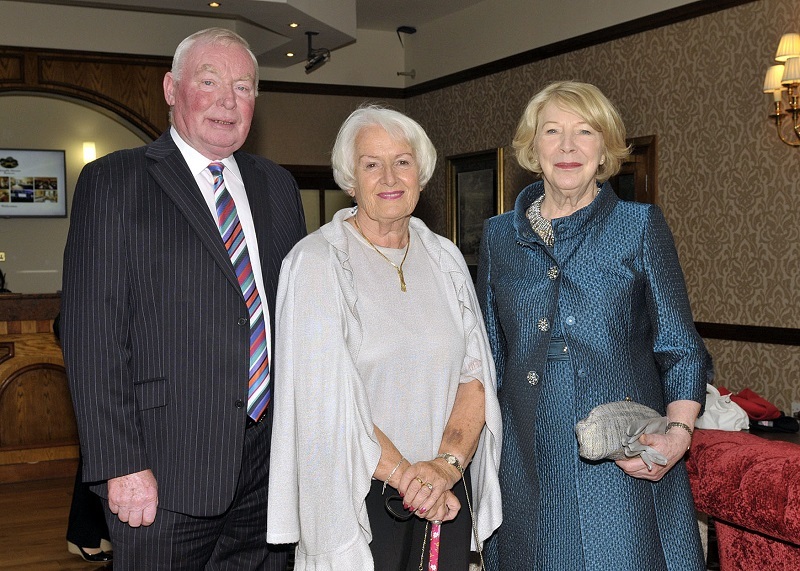 Pictured at the Irish Diaspora Week pre-concert dinner, Remembering Christina, held in Breaffy House with the guest of honour Sabina Higgins, wife of Michael D. Higgins President of Ireland, l-r; Paddy Moran, Mayo Association Dublin, Marianne Staunton, MELC and Sabina Higgins. Photo © Ken Wright Photography 2015. 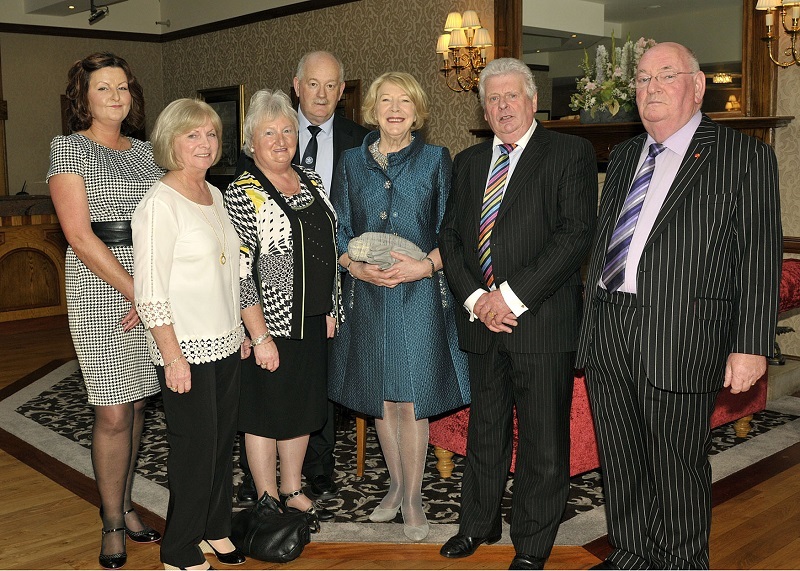 Pictured at the Irish Diaspora Week pre-concert dinner, Remembering Christina, held in Breaffy House with the guest of honour Sabina Higgins, wife of Michael D. Higgins President of Ireland, l-r; John Kennedy CBE KSG DL, Sabina Higgins, Kevin Bourke, Chairperson MELC and Maura Kelly,. Photo © Ken Wright Photography 2015. 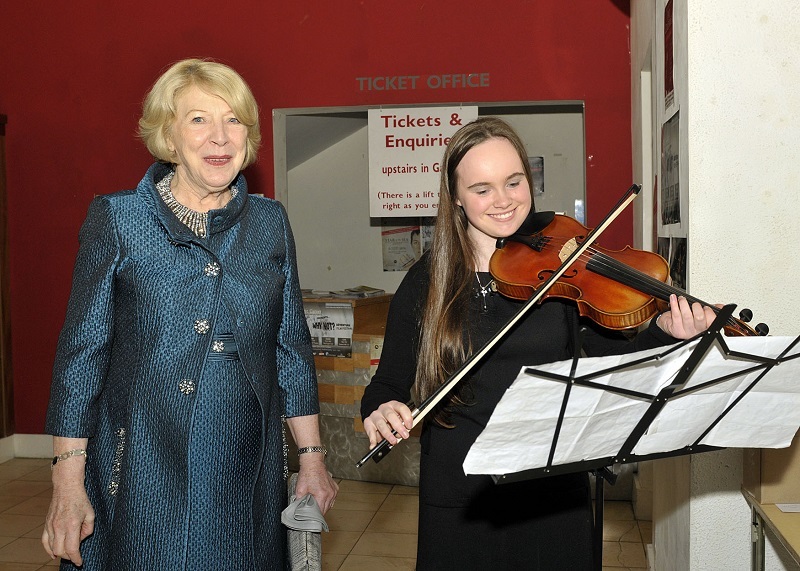 Pictured at the Irish Diaspora Week in the Linenhall Theatre where the Remembering Christina concert, with the guest of honour Sabina Higgins, wife of Michael D. Higgins President of Ireland, Sarah Shally pictured with Sabina Higgins as she entertained guests with some traditional music in the foyer prior to the concert. Photo © Ken Wright Photography 2015. 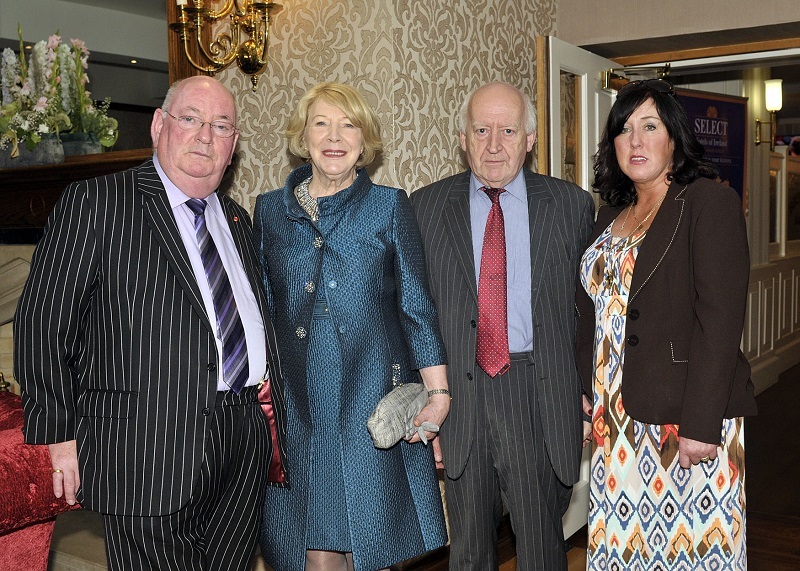 Pictured at the Irish Diaspora Week pre-concert dinner, Remembering Christina, held in Breaffy House with the guest of honour Sabina Higgins, wife of Michael D. Higgins President of Ireland, l-r Kevin Bourke, event organiser, John Kennedy CBE KSG DL, Sabina Higgins, Robert Turner, former Lord Mayor of Armagh, Barbara Turner, former Lady Mayoress of Armagh and Marie Kearns, committee. Photo © Ken Wright Photography 2015. 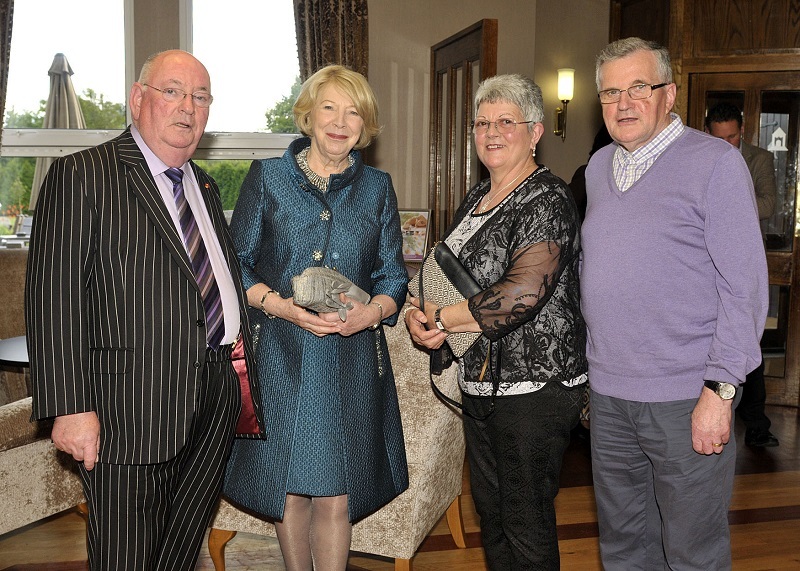 Pictured at the dinner, Remembering Christina, held in Breaffy House with the guest of honour Sabina Higgins, wife of Michael D. Higgins President of Ireland, l-r Kevin Bourke, event organiser, John Kennedy CBE KSG DL, Sabina Higgins, Robert Turner, former Lord Mayor of Armagh, Barbara Turner, former Lady Mayoress of Armagh and Marie Kearns, committee. Photo © Ken Wright Photography 2015. 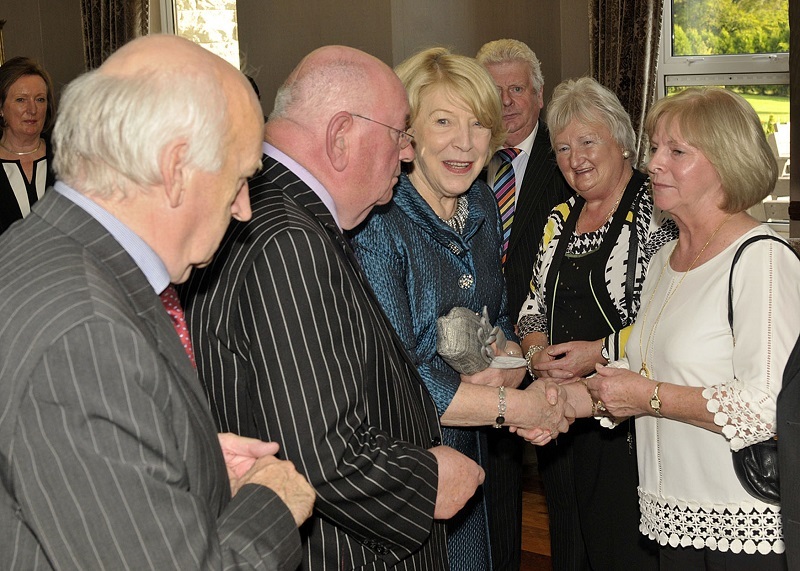 Pictured at the Irish Diaspora Week pre-concert dinner, Remembering Christina, held in Breaffy House with the guest of honour Sabina Higgins, wife of Michael D. Higgins President of Ireland,l-r; Connie Cannon, committee, Marie Kearns, MELC, Barbara Turner, former Lady Mayoress of Armagh, Sean Kearns, Sabina Higgins, Robert Turner, former Lord Mayor of Armagh, John Kennedy CBE KSG DL. Photo © Ken Wright Photography 2015.